Here are my 7 music business predictions for 2010, as posted on my Music 3.0 blog. 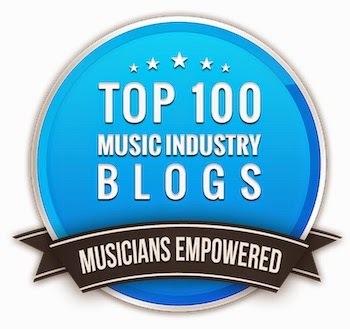 I'm not sure if many of you know, but I've separated the music business postings from this blog and they're now being posted exclusively on Music 3.0. Anything that has to do with music creation, production or technology will remain on this blog. Happy New Year and thanks for reading everyone!! Here's the fun part of the year coming to a close, when we can do some crystal ball gazing, take a couple of seances, dream a couple of dreams and make some semi-educated guesses regarding the happenings of the coming year. Sprinkle in a little inside knowledge here and a rumor or two there and you have the 6 predictions for the MI/pro audio business for 2010. 1) Pro Tools goes native and abandons their processor cards. Let's face it, computers are getting faster every day and are already plenty fast enough to handle just about anything a DAW can throw at them, so why must a user pay big money to buy a processor card? Avid agrees as the Pro Tools hardware approaches it's natural end-of-life, but what will that mean for them over the long haul? Such a decision could open up a can of worms for Avid (Digidesign) though, as it also opens the door for the next new DAW kid on the block. Remember how the Sony 3348 was a must-have for every commercial studio and within 6 months was a boat anchor? Could happen here too, but not this year. 2) Two well-known manufacturers will be no more. It's been pretty amazing that there has been so few manufacturer fatalities during the last year considering the state of the economy. That won't continue however, as a number of very well-known companies currently stand on the brink and it won't take much to push them over. Look for at least two of them to be bought, merged or closed. 3) A well-known retailer will contract. The year was already savage, but the Holiday season was particularly unkind to a major retailer, who will be forced to drop any planned expansion and begin to close under-performing stores. 4) Retailers delete duplicate items. Show me just about any musical instrument or recording item out there and I'll show you at least a dozen manufacturers that make one. While excess choice was always a bit of a burden for a retailer, now it's a downright millstone around their cash register's neck. Look for retailers to cut back on the number of items they carry, and look for many boutique manufacturers to suffer and die as a result. 5) A new class of hardware will be introduced. Thinking outside the box is not a trait that the current MI/Pro Audio business possesses to any great degree, but one company has managed to plow some fertile ground with a new look to an old process. Look for it's debut in the new year. 6) The 5th Beatle gets a new job. This last point only indirectly affects the MI/Pro Audio business but it's worth pointing out. It used to be that the silent member of a band was their manager, producer or engineer, but the new 5th Beatle is their webmaster. With social media playing such a large roll in just about any size act's marketing and promotion, the person with the most online smarts might be even more important than a rhythm guitar player who doesn't sing (as long as he's not the songwriter). The new 5th Beatle is one less person around a band that would buy the gear that the industry sells (except for the computer and accessories, of course). Can't wait until the end of next year to see how many of these came true, but I bet my batting average will be pretty good. Manny's Music Closes - After 74 years, the venerable Manny's Music on 48th street in Manhattan closed. Once the country's most famous music store, it was closed by parent company Sam Ash to make way for a larger Sam Ash guitar store. Another piece of music history fades away. Digidesign Becomes Avid - We knew it was coming because they've been owned by Avid for a while, but it was still a bit of a shock when Digi was merged into Avid. Winter NAMM 2010 should be interesting to see if Digi's name still remains on their Pro Tools products. I got to thinking about the many changes that came about in the recording business during the 2000's the other day - some of it good, some of it bad, most of it significant. Here are what I consider to be the 12 major changes to recording in the 2000's, in no particular order. 1) Pro Tools Standardization - As the decade started, Pro Tools was was already creeping into the major studios, but every year since it has become more and more entrenched as the standard audio capture format for any professional application. Sure, there are a lot of other great DAWs, but none of them have the traction of Pro Tools. In any professional situation, from music to radio to film and television post, this is the DAW that you're going to have to use as we move into 2010 - until something better comes along (no, I don't have a clue). 2) The Downfall of Commercial Studios - When I moved to Los Angeles in 1980, there were more than 250 "24 track" commercial studios in town. Many of them were multi-room facilities and they all were teaming with business. As we move into 2010, there are fewer commercial studios than ever before thanks to cuts in recording budgets, the ease of setting up a home studio, and the fact that studio rates have remained about the same since the 80's while overhead has risen dramatically. 3) The Rise of Software and Fall of Hardware - Once upon a time, every studio needed a pretty good amount of outboard gear to be able to record and, especially, mix a record. It would be nothing for a studio to spend in excess of $100k for outboard EQ's, compressors, effects devices and reverbs that they absolutely needed to have in order to attract independent engineers and producers and make a competitive record. During the 2000's we saw a shift away from outboard hardware boxes to software plug-ins that do the same thing, only cheaper and easier. At the beginning of the decade, most pro engineers complained about "the sound" of plug-ins that emulated their favorite outboard device, and for the most part, they were right. It didn't quite measure up. Now that major computer horsepower is so inexpensive and programmers are better at what they do, the difference in sound quality between the plug-in and the real thing is no longer an issue even with the old-schoolers. One of the big reasons why software plugs have caught on is price. Why buy a rack of Neve 1073's at $2500 a piece when you can buy a UAD card that can give you a hundred of them for half the price of just one? Sure, you don't get the mic preamp and and you can't track with them, but if you don't record more than a couple channels at a time anyway, it's hardly a problem. 4) The Fall Of Rental Companies - It used to be that renting gear was one of the secret cash-cows of the business. Every town had at least one major rental company (New York, LA and Nashville had 4 or 5) and many engineers and producers made extra dough on their projects by renting their pricier gear back as an extra. Thanks to the rise in software plug-ins, the need for that expensive hardware has dropped drastically. And even when it is rented, the length of the sessions has decreased to such a degree that what used to be a three or four week rental might now take only three or four days. As a result, a lot of the major rental companies have either gone under or cut back drastically, the minor ones don't exist anymore, and it's rare that an engineer will even think about renting the gear back to a project as he's just thankful for the job. 6) Less Money Going Around - CD sales are way down and as a result, so are recording budgets. Where once a $100k budget was considered bottom of the barrel when budgets for even non-superstar acts were beyond $500k, we now live in a world of $40 and 50k budgets. No money - no big studio, no rentals, no hardware purchases. It's all tied together. Superstar acts still get a blank check, but there are fewer and fewer of these acts. The future of the recording budget is here - get used to $40k or even less. 7) Sample and Loop-based Music - Once upon a time, all music started with real musicians tracked live. That all changed in the 2000's. Programs like Acid and Ableton Live made it easy to make some great music without ever seeing a real musician. Loop libraries gave you access to just about every kind of sound and mood that you could think of, and samples of every type of instrument became more realistic. Suddenly, you didn't need a studio, you didn't need a tracking room, you didn't need a player - all you needed was a laptop, some software and a set of headphones. Television and film composers no longer needed an orchestra, keyboard players could record great guitar and bass parts without the players, and no one needed a drummer if you had BFD or a similar program. It changed the music world, although not so much for the better, I'm afraid. 8) The Rise of Alternative Markets - Some markets thrived during the 2000's. The church market became a saviour for many audio gear companies as churches installed bigger and better sound systems, recorded their services and even broadcast them on television or the web. The sound system install market flourished as commercial building projects popped up everywhere. While this was truly a bright spot for many companies in recent years, the recession has brought these markets to a resounding halt. The worse may be yet to come, unfortunately. 9) The Rise of the Home Studio - It's now possible to have a studio on your laptop that's much more powerful than anything The Beatle's ever had to work with for less than a thousand dollars. Home recording is within reach of anyone that wants to do it, and everybody does. This has been both good and bad. It's brought about Music 3.0, where an artist is no longer bound by the marketing, distribution and sales system of the record labels, but the filter that the label provided and the help of the many professionals along the way had it's advantages too. Just because you have your own studio doesn't mean you know how to use it. As a result, we have fewer real professionals than ever before who are making less money than ever before - and more and more people making their own music at home. It hasn't resulted in better music so far. 10) The Influx of Chinese Gear - Audio and music gear is better than ever before on average. It's really difficult to find what would be considered a "bad" piece of gear these days (I remember the old Kent guitars with the bowed necks when I was growing up - those were bad), and it's cheaper than ever as well, all thanks to those hard-working Chinese near slave-laborers. Just about every gear company does the same thing these days - design the piece here, manufacture it in China, and sell it as cheaply as possible against a dozen other manufacturers with the same product and idea. The problem is that while all the gear is good, not much of it is really great. That's why we have more boutique gear manufacturers than ever. I wonder how they all survive? 12) Change in Consumer Buying Habits - We all know this one. CD sales down, digital sales up, piracy still high. It's the reason for most of the items on this list. We'll cover this point more later in the week on my Music 3.0 blog. Here's my favorite song about Christmas - the late Dan Fogelberg's Same Old Auld Lang Syne. I posted this last year too, but the song means as much to me now as it did then, so he it is again. What I love best about this live version is how well Dan treats his backing musicians at the end. He shows love and respect, as all artists should. Merry Christmas everyone, and thanks a lot for reading!! Here's my favorite Christmas song - "Santa Claus Is Coming To Town" by Bruce Springsteen and the E-Street Band. This is one of earliest versions (and one of the best, in my opinion) from the Capitol Theater in Passaic, New Jersey in 1978. Forgive the brief commercial and the black and white, but it is vintage after all. In 1976, Bruce and many of the E-Streeters would come listen to my band The Other Side at the Stone Pony in Asbury Park. This was during the period when he was under injunction from his former manager so he wasn't allowed to perform. He was a nice guy then, and when I met him again some 25 years later in California (in Studio B of Front Page Studios and again back stage at one of his concerts) just as nice. He's a real down to earth guy, despite his massive success. I don't think I really appreciated Bruce though, until I saw him on the Charlie Rose's PBS show maybe four or five years ago. During the show, he performed "Born In The USA" with just him on a 12 string, but he played it the way you'd expect an old bluesman to play it. As blues legend Willie Dixon once told me, "The Blues are the facts of life", and Bruce was telling it like it should be told. I was convinced at that point that he was on the level of any of our musical national treasures. Again, ignore the brief commercials and don't let the marginal video get in the way of some great music. Below you'll also find that great Charlie Rose performance of "Born In The USA." In a previous post we discussed the attributes of an amateur mix, so now is a good time to discuss the 6 elements of a great mix. Most great mixers think in three dimensions. They think “Tall, Deep and Wide”, which means they make sure that all the frequencies are represented, the mix has depth, and finally has some stereo dimension as well. The “Tall” dimension (which is called “Frequency Range”) is the result of knowing what sounds correct as a result of having a reference point. This reference point can come from being an assistant engineer and listening to what other first engineers do, or simply by comparing your mix to some CD’s, records or files that you’re very familiar with and consider to be of high fidelity. Essentially, what you’re trying to accomplish is to make sure that all the frequencies of the mix are properly represented. Usually that means that all of the sparkly, tinkly highs and fat, powerful lows are there. Sometimes some mids need to be cut or other frequencies need to be added, but regardless of what you add or subtract, Clarity of each instrument is what you aim for. Again, experience with elements that sound good really helps as a reference point. The Effects or “Deep” dimension is achieved by introducing new ambience elements into the mix. This is usually done with reverbs and delays (and offshoots like flanging and chorusing) but room mics, overheads and even leakage play an equally big part as well. The panning or “Wide” dimension achieved by placing a sound element in a sound field in such a way as to make a more interesting soundscape, and so that each element is heard more clearly. Most neophyte mixers have only four or five of these when doing a mix, but all of these elements MUST be present for a GREAT mix, as they are all equally important. You can read about these six elements in more detail in The Mixing Engineer's Handbook. Fastest Guitar Player In The World? Speed is something that most novice guitar players strive for as they think that pure dexterity makes them a better player. That's not exactly true (listen to Joe Walsh or David Gilmore are great examples), since the faster you play, usually the less passion and soul you play with. That being said, here's an interesting video by guitarist Tiago Della Vega playing the classic song “Flight Of The Bumble Bee” by Nikolay Rimsky Korsakov. Tiago plays at tempos that gradually ramp up to 320 bpm, which is totally outrageous. I still prefer Joe Walsh, but this is a great performance. 2) Track layering. You can hear how there's usually a lot more going on in a record than what you think. 3) The use of of effects. 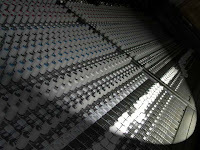 Effects are used to place a track in an artificial acoustic space and you can hear how it works very well here. Yesterday I looked at the first of what I considered the 2 defining moments for a modern guitar player. These are moments when the light goes on and player's skill set takes a big turn towards what's required by a professional musician. Just as yesterday, this post is an excerpt from the band improvement book "How To Make Your Band Sound Great," but was prompted after finding a couple of guitar pedal sites that I liked. 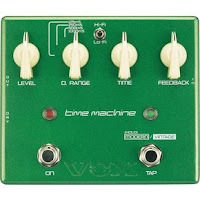 Unfortunately, I didn't mention the site that really inspired me yesterday and that's GuitarPedalReview.com. As I stated then, I've become more of a purest after my defining moments and generally don't use pedals at all (especially when there are so many cool high quality effects in the studio), but I totally understand that they're integral to a player's sound (especially delays and modulation). Plus, I do like the proliferation of good pedal sites. Defining Moment #2 - When you learn to play clean without the help of distortion or sustain. This might sound like the same thing as number 1, but it’s not. Playing with distortion is fun but the sustain gives you a false sense of security. The problem is that it can also cover up a lot of mistakes and technique problems that you might have. Distortion and artificial sustain can give you a false sense of your ability and the way to get around that is to learn to play completely clean. Yes, you might not like what you hear at first, but with some practice you’ll find that it’ll make you a much better player because now you can hear all the nuances that you’re either doing well, or need work on that you just can’t hear through the distortion. Remember back in Chapter 1 when we talked about your influences? Remember how we talked about how important the nuances in the playing were? This is the way you learn and refine them in your playing. If you can sound great clean, you’ll sound even better dirty! Expanding on the above, playing with fewer effects and less distortion helps your band in another big way - it’s a lot easier for you to fit into the mix. The more effects (reverb, delay, chorus, flange, vibrato, etc) and distortion that you use, the harder it is for the audience to discern exactly what you’re playing. This means that the sound of the band turns into a mushy din instead of an exciting mix of instruments greater than its parts. I’m not saying to stop using your pedals. I’m saying that you should use them with discretion. You don’t need to use them on every song, and you usually need a lot less of them than you think too! When you’re playing live, if you think of your set as a record or CD (meaning a group of songs released at the same time that are designed to fit together), you’ll notice that the guitar sounds change a lot from song to song. In the studio, this means using different guitars, different amps, different effects - all in the name of keeping the sound fresh. While it’s impractical to do this to that extreme when playing live, you can still do some subtle things toward this end like using different pickup combinations, using different effects in different songs, or different amp settings if your amp will allow you to do it. But once again, the word is discretion. A little goes a long way! I'm not much of a guitar pedal guy anymore. I used to have more than a human could possibly use all over floor when I was a kid playing in clubs (in the days before pedal boards), but I eventually learned that I sounded a lot better without most of them. 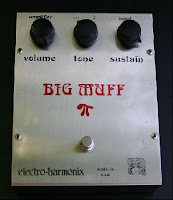 That being said, I recently came across a couple of pedal sites that I liked - the Guitar Pedal Blog and Pedal Heaven. They got me thinking about my pedal experiences so I thought it might be a good time to post this excerpt from the band improvement book "How To Make Your Band Sound Great" regarding what I believe to be the two defining moments for a modern guitar player. From personal experience, I have found that there are two defining moments in an electric guitar player’s career that turns his mindset from that of an amateur to one of a professional. What I’m going to tell you might be hard to take because it might go against your idea of what sounds good and is fun to play, but believe me that it will help you in the long run. Defining Moment #1 - The day you hear that the sound can be bigger without pedals or anything in between your guitar and amp. Yes, it’s true. Most of those sounds that you’ve been hearing on recordings (especially on classic 60’s and 70’s recordings) have been a guitar plugged straight into amp with no pedals (or one at most) in between. What gives it that big sound is the type of amp and the fact that it’s turned up pretty high, if not to max! Let me tell you about when this moment happened to me. I was jamming in a garage with slide guitarist extraordinaire Gerry Groom and bass player Paul ILL (my co-writer on The Studio Musician's Handbook) and a drummer. Gerry was a protege of Duane Allman (of the famous Allman Brothers Band) and was so close to Duane that he willed Gerry his beloved Les Paul when he died. The guy really had some amazing chops and a lot of experience and was once dubbed by Jimi Hendrix’ former manager “The next great American guitar player”. I was no pup either, as I was playing about 15 years at the time and had a couple of major label record deals (back when they actually meant something) under my belt. Gerry plugged his 1960 Les Paul Black Beauty into his 1964 Fender black-faced Super Reverb and the sound was glorious. Lots of sustain with some really good sounding overdrive. I plugged my 1981 Strat into a small rack (which was popular to have at the time) of distortion devices, chorus units, EQ’s and noise gates which then went into a fabulous 1977 Marshall JMP 100 watt half-stack. While Gerry’s guitar sang with richness and as much sustain has he wanted, mine sounded thin and buzzy, although just as loud. After about a half-hour of jamming, Gerry looked at me and said, “Why do you even use that crap (meaning my rack gear)? You’d sound a lot better without it.” I loved my pedals and rack gear and the way it made me sound while I played by myself, but I had to admit that his rig sounded better than mine by a mile. He had the sound I kept trying to get by using all the pedals and rack gear, but he got it by using none of it! I unplugged everything and when straight into the amp, turned it up and………..Wow!! It really did sound better once I tweaked the amp’s controls a bit. It was a little shocked about how high I had to turn the amp up to get the sound, but it really was the sound I heard on countless records that I’d been trying to achieve. It was that simple. But it did take a new technique to learn how to control the amp. I couldn’t just jump on a pedal to get enough volume to go from rhythm to lead any more, I had to do it with the volume control on the guitar. And much to my amazement, it was easy! You turn down the volume control and the sound cleans up and you automatically get some highs in your sound, giving you some nice rhythm definition. No longer were my rhythm parts heavy handed and too full. Now they were always just right. This was my moment of clarity. Granted, it really depends on the amp. Most amps (like the ones described in Chapter 1) will work well, but a few won’t. That’s one of the reasons that guitar players much prefer tube over solid state amps. They have the right sound when you turn them up while solid state, for the most part, just doesn’t. Likewise, if the amp has too much power, you just might never be able to turn it up where you need to in order to get the right sound, especially if you play in small venues. That’s why a 50 watt amp is a lot more versatile than a 100, because you just can’t drive a 100 to where it needs to go without your audience wearing hearing protectors like you see on an airport flight line. Now I’m not saying to throw away all your distortion and overdrive pedals because they certainly have their place, but get the sound from the amp first, then add your pedals. If you can’t make the guitar sound great plugged directly into the amp, then consider an amp that will get you where you want to go. Since the vocalist is the only musician who can not put their instrument away in a protective case after the gig or rehearsal, it’s important to take very good care of it. Eventually every singer has some vocal trouble, and if you’re not careful, it can really lead to long term damage. That’s why it’s important for a singer to learn to be especially aware of the need to take care of himself. Here's an excerpt from the band improvement book How To Make Your Band Sound Great with 7 tips to help vocalists keep their voices healthy and ready to sing at every gig and recording session. 1 - Aside from being sick, the number one cause of vocal problems is not getting enough sleep. When you’re tired, all the parts of your body needed to support your vocal cords tend to weaken a bit, which leads improper breathing and thus throat problems shortly after you begin to sing. Get as much sleep as you can (preferably seven or eight hours) the night before a gig, or at least take a nap on the day of the gig so you can feel somewhat refreshed. 2 - The next thing is to avoid milk (and any dairy products for that matter) from three to six hours before you sing. Anything with milk in it will cause an excess production of phlegm around your vocal chords, so that’s a definite no-no. The old remedy of milk and honey for a rough throat is very soothing after the gig, but not before! 3 - If you are hungry before a gig, don’t be afraid to eat, but just eat until you’re satisfied and don't stuff yourself with a seven course meal. Try not to eat in the last hour before your performance in order to avoid that excess phlegm again. If you do feel phlegmy, you’ll have the strongest temptation to clear your throat (which can be harmful) immediately after eating, but waiting an hour is usually enough time for your meal to settle. 4 - And speaking of clearing your throat, there are some that say that you should never try to clear your throat because it can cause some damage, but it’s usually necessary because excess mucous inhibits really inhibits your singing. The trick is to find a way to clear your throat without irritating it and the best way is to do a gentle "whispered cough" and then swallow and repeat. If this doesn't work, you need to deal with the excess mucous production. Squeeze a 1/4 of a lemon into a tall glass of water and sip over a period of about twenty minutes. This should cut through a lot of the excess mucous. 5 - Other things to avoid are alcohol, tea (despite popular belief), coffee, cola and anything else with caffeine, since these actually have a dehydrating effect, which is quite the opposite of what you really need. 6 - One thing you should do is drink lots and lots of water (ideally two to three quarts a day - the more the better) because a dry throat leads to a sore throat. If you live in an arid climate like Arizona, sleep with a humidifier next to your bed and try to warm up your voice in the shower. The moisture can be an incredible help for your voice. Also, learn to breathe in through your nose as much as possible. This will help moisten the air before it reaches your vocal cords. 7 - Finally, some singers swear by Entertainer’s Secret, a spray mixture that lubricates the vocal cords and was developed by an ear, nose and throat specialist. In the third and last part of recording session etiquette, we take a look at what should happen when the session ends. As with parts one and two, this list is a partial excerpt from The Studio Musician's Handbook. It’s perfectly natural to develop relationships with people you meet on sessions, but make sure you don’t ruffle any feathers in your noble efforts to make new friends or create more work for yourself. You want to get called back for the next session and you want the team you just worked with to refer you for more work. After your tracks are completed and you’ve basked in compliments during playback, let whoever hired you or your point of contact know how much you enjoyed the experience and how much you’d like to come back again. Remember to honor rank and be careful to defer to established relationships. If you just finished a synthesizer overdub for a producer but his engineer got you the gig, your best bet is thank the engineer for the referral at a time when the producer is present. Then let them both know you are available for more work. You’ll quickly develop a keen sense of when it’s cool to hang out or if you should quickly be on your way. Be careful not to be overly friendly with the staff. This can be misinterpreted and come back at you later if you make someone feel the least bit uncomfortable. Be careful about making unsolicited referrals for your friends. A general rule of thumb is only refer someone when you’re asked to recommend a player or singer for work. If you’re good at what you do and act professionally, producers, artists, contractors, engineers and managers will inevitably ask you for recommendations and then you’ll have ample opportunity to create your own ”A Team”. Fast friends and strong bonds can be made amongst recording musicians. Often a sense of “family” prevails and often it’s perfectly appropriate to hang out and socialize after sessions. Recording musicians often end up touring or doing media promo dates with artists for whom they’ve made records, and lifetime bonds can be formed. Just remember to acknowledge the individual(s) who create these opportunities. Follow these pointers and the ones from the first two posts and you'll always be perceived as a professional, which can go a long way to getting you more work. Make no mistake, you need talent to make it in the recording business, but talent alone will get you nowhere unless people like working with you. Knowing the proper etiquette while recording is almost as important as doing your gig. If you make people uncomfortable or do something that's considered out of place and chances are that you won't be asked back. In recording session etiquette part two, we'll look at the way everyone expects you to act during the session. Once again, these are points taken from The Studio Musician's Handbook, but most of them apply to just about everyone on a session. If there’s creative dialogue with the artist, songwriter, producer or engineer, make sure that your opinions are wanted and warranted before you offer them. Be careful about musical references. You may think that the track you’re working on is great because it reminds you of Dusty Springfield’s classic “Son of a Preacher Man” only to find out upon your mention of it that it’s on the artist’s “Ten Most Overrated Songs” list. Whether you’re on your own or part of an ensemble, focus on your work first. If you have input for other players, make sure it’s warranted and you can actually help them out. Players often tweak each other’s parts or help one another to understand a written passage, remember a song’s form, or get a sound. Remember – always defer to whoever is in charge. That person is usually the producer, but you may be receiving guidance or input from a musical director, the artist, or the engineer. Keep an open mind. Greet suggestions with willingness and always respond positively. If you’re receiving input from more than one source and they contradict one another, diplomatically point that out and let them resolve it. And don’t forget – if you can’t keep your cell phone outside the studio, TURN IT OFF (not just on vibrate - that’s a distraction too). Put away the magazines, computers, iPhones, and anything else that can be a distraction. The last thing a producer wants to see is you updating your Facebook status in between takes! If you need time to check your messages or Facebook, make sure you ask first. Most sessions have timed or natural breaks when you can meet you individual needs, but be sure to always ask if you wish to leave the recording environment while there’s work being done, even if you’re not directly involved at that moment. There’s a time and a place for everything, but sometimes cajoling, goofing around or humor doesn’t belong at a session. Then on another day with the same people, the session may be all about the gags and laughs. Studio pro’s know how to “go with the flow” and are experts at reading people and situations. If people are conversing, treat the session like any other workplace and try to avoid potential conversational “hot spots”: politics, religion, family and money. Everyone likes a good conversation and a funny joke, but it’s best not to risk being misinterpreted or misperceived as offensive. Earn and honor rank. That means if there are players on the session with more professional or personal history with the artist or producer than you have accumulated, let them lead. Everyone benefits when everyone gets along and knows their place. Always wait until the job is done before you ask the powers that be if they are open to your creativity. It’s appropriate to do so before you offer your ideas. Always ask first if they are open to your input. If so, and you hear it in your imagination, let them know. The way you act at a session many times counts for so much more than your performance. If you make anyone uncomfortable in the slightest way, you can bet that you probably won't be asked back, so being aware of proper studio etiquette is extremely important. Studio etiquette applies to before, during and after a session as well. In part one, we'll look at what's expected before the red light is turned on. 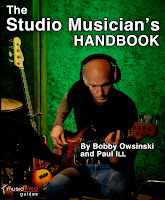 These points come from The Studio Musician's Handbook, but most apply to everyone connected with a recording session as well as the musicians. On any session, always know who your point of contact is. ALWAYS SHOW UP EARLY. To be early is to be on time. To be on time is to be late. To be late is almost like not showing up at all! If the downbeat is for 2PM, show up at least a half-hour early at 1:30! Let the powers that be know you’ve arrived. Make your presence known at a session as soon you roll up on the studio property. If you’re there and no one knows it, you can cause the session to start late if you’re hanging out in the lounge instead of the studio while everyone is waiting for you because they’re unaware that you’ve already arrived. Load your gear in quickly and quietly. Accept help with this if it’s offered. If it’s your first time there, introduce yourself to those you make contact with, and find out what the plan for the session is. You may be immediately welcomed in the studio or control room, or you may not. You may be asked to wait in the lounge instead. While you’re waiting, use those people skills and find out what’s going on. Be friendly and respectful but don’t be overly formal. After you’re set up and ready to play, keep your warm-ups and noodling to an absolute minimum. Get your sound and follow the producer’s or engineer’s direction “to the t”. If you’re playing an electric instrument, it’s totally cool to turn your volume all the way down and do your warm-ups. If there are headphones in use, try putting them on with the volume all the way down (studio headphones are capable of being loud enough to cause hearing damage, so don’t hurt yourself), and slowly turn them up to see what’s happening with the mix. If there are other people in the room, you might want to “keep one ear on, one ear off” until recording begins in case someone talks to you. Always keep your focus on the music and what’s right here, right now. Part 2 next post - Etiquette during the session. Rolling Stone magazine just released their Top 100 albums of the decade. As with any subjective list like this, there's always reason to debate the choices, but they're still pretty interesting to look at. My first thought after looking over the list is, "It was a pretty creatively barren period." Here are the the top 20 albums, but you can find the entire top 100 here. I don't know how long the following video will stay online since it seems to be a lift from a BBC documentary on recording The Beatles, but it's a wonder to listen to while you can. The video is just the audio portion of "Something" off the Abbey Road album and it's a great study in how a hit was put together using only an 8 track tape recorder. First of all, the sounds are wonderful, even though you only hear them through the monitor mix (especially the strings). Second, listen to how all the parts fit so well together. A few of them, like the guitar through the Leslie speaker and piano in the bridge, only play for a short time in a turnaround but they make a huge impact in the arrangement. The vocal double in the chorus is a trick still used today on perhaps the majority of records. It's a great song that's become a standard, a beautiful arrangement, and great recording that's stood the test of time. It's not exactly what you think. Does "cloud computing" (see the picture on the left) ring a bell? Check out the Music 3.0 blog for the story. What's the best selling record of all time? No, it's not Thriller by Michael Jackson (reported numbers are said to be inflated so it's difficult to even tell how many copies it's sold). 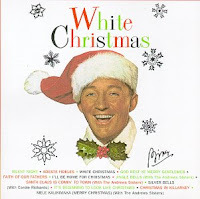 It's"White Christmas" by Bing Crosby and written by songwriting legend Irving Berlin. The single is said to have sold over 50 million copies alone with the album putting total sales over 100 million. Recorded in 1942 just after the World War II started and debuted in the movie "Holiday Inn" with Crosby and Fred Astaire, it's widely held that the war actually had a lot to do with the song gaining popularity. Since millions of troops were overseas and longing for family, the song brought a little bit of comfort and the feel of home. From that point, it's become ingrained in our consciousness as a standard that's played constantly (over and over and over again) throughout the holiday season. There's a lot that's interesting about songwriter Irving Berlin, He was self-taught and could only play using the black keys of F#. Because he was self taught, he also frequently wrote with unusual cadences, and many times never bothered with a song bridge, which was contrary to the times. Still, the song has outlived hundreds of competitors over time with more introduced every year. Despite all the famous songs that Berlin wrote that everyone somehow knows, ("Alexander's Ragtime Band,""Easter Parade," "There's No Business Like Show Business," "God Bless America. "), White Christmas will be the one he's best remembered for. So if you really want to make your mark as a songwriter, write a holiday song. Kevin Becka, the tech editor at Mix Magazine, recently wrote an interesting post entitled "Top 20 Gear Hits of the Noughties" that was pretty cool, so I thought I'd reprint some of them that I thought significant with some comments (in italics). If you following the links, you'll get more info from Kevin on the product. Pro Tools HD – Digidesign’s 2002 hardware upgrade brought high resolution audio to the industry’s top DAW. Yes, this version truly made a difference in that there were a lot of questions regarding the sound quality of Pro Tools until HD came out. None now, it's the standard! Apple Logic Pro – After the purchase of Steinberg, Apple puts its stamp on this popular music production tool making it a contender for top affordable native DAW. Don't know about Logic Pro as a game changer per se, but the fact that you can get great performance from a native (using only the host computer without the aid of additional processing cards) DAW certainly is. Celemony Melodyne – The only competition for the ubiquitous Auto Tune app brought us a new way to correct pitch. The latest version of Melodyne is nothing short of amazing, providing some great forensic tools not usually associated with pitch correction. JBL LSR6328P monitors – Once the studio monitoring champ, JBL made a solid bid for the title again with these great sounding speakers. Don't know how much of a game changer they are, but they're my choice and the ones I use every day. Royer SF24 – Royer provided an easy way to record with ribbon mics in stereo without having the gain and impedance issues of a passive ribbon. 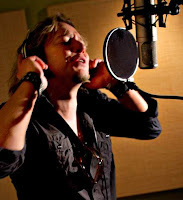 Of all the new mics on the market today, one of the few that have become true recording standards have come from Royer. Plugins – Many companies defined this category in the noughties including Waves, Sonnox, Focusrite, McDSP, Bomb Factory, TL Audio,SoundToys, PSP, URS, IK Multimedia, brainworx, Universal Audio,iZotope and more. Just as Pro Tools HD changed the way we thought about the sound of a DAW, the same can be said for the latest generation of plug-ins. No one even compares the sound to hardware anymore. Digidesign VENUE and ICON – Digidesign went from 0 to 60 in record time with their live sound and studio consoles. Absolutely true. They became a real player in sound reinforcement seemingly overnight. Now that the industry has made the conversion from hardware to software, more and more we see products that are evolutionary instead of revolutionary. I think a good case can be made for some of the above to be put in the revolutionary category. Wonder how many we'll see in the 10's? Here's the backing track to Nirvana's 90's hit "Smells Like Teen Spirit". This was the song that launched a whole new musical trend so it's significant from an historical perspective, but it's also a great example of dynamics and how a song is taken to another level by a great drummer. This video contains all the tracks except guitars so it's another perfect example of rhythm section production to study. As famous jazz drummer Buddy Rich once said (most likely referring to himself), "You can't have a great band without a great drummer," and he was certainly right. EVERY great band has a great drummer and to be even more precise, the perfect drummer for the band. Dave Grohl was certainly the right guy to hold down the drum chair for Nirvana, and this track proves it. The drum track is punchy, in-time, dynamic and aggressive. Speaking of dynamics, that was one of Nirvana's strong points and Teen Spirit is the perfect example. Listen to how the tension is built by going from the steady but less intense verse to the fury of the chorus. If you want to learn how to play dynamically, that's how it's done. There's no picture on this video other than the album cover, but the audio's well worth a listen. One of my oldest friends, studio bassist and co-writer of The Studio Musician's Handbook - Paul ILL, just returned from a trip to Atlanta where he saw what appears to be the latest rage on the East Coast - live band karaoke. In case the term doesn't sink in, it means a real live band invites members of the audience up to sing a song of their choice. The band charges $5 for the privilege and if you tip, you move to the head of the line. It sure beats singing to a machine and it must be a real thrill for the vocal participants to feel the energy of a band. Apparently this is the hot new thing for club bands, and karaoke bands are now popping up all over the country. Although my club gigging days are way behind me, I think it's a really clever idea. It's a new way for a band to draw an audience, a great way to keep that audience involved, and a new way for the band to make some needed money in these days of fewer and fewer gigs. If I were playing in clubs again (perish the thought), it's something I'd definitely consider. You could even expand beyond just singers to have audience members sub for all members of the band, so you sort of get a little bit of a live "Rock Band" game as well. 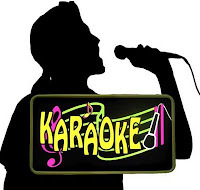 Just do a search for "live band karaoke" and watch what you get. In keeping with the theme of this week so far, here's the backing track for the hit "Sweet Child of Mine" from Guns n' Roses. I'm not sure that this is the real GnR track (you can never tell what the source is on Youtube), but it's still a pretty good analysis of how it was put together. You'll hear the drums, bass, 2 rhythm guitars left and right and the lead vocals. A couple of interesting things here. First the whole drum kit has a load of reverb on it, a lot more than you hear on most rock songs. Second is the effected bass, which has a chorus on it - again unusual for a rock song (any song really). It's also worth noting when the rhythm guitar on the right comes in on the choruses and bridge to change things up a bit and give the song some additional power. It's also interesting to hear a small bass rhythm flub about half-way through the first verse, and the punches on the vocals (if it's really GnR, it was done on tape - no unlimited tracks) during the choruses. I've always been a big fan of listening to multitracks of hit songs as a learning experience. It's so much fun to hear just how perfect or imperfect the tracks are. Until recently, these multitracks were pretty difficult to find unless you already knew the band or artist, or their producer or engineer, and they were kind enough to let you play with them. But everything has changed now with YouTube, where you can find a wide variety of dissected material. It's been suggested that a lot of this comes from a guy who works for the vault company that houses many of these master multitrack tapes for the major labels, but who really knows (I'm sure the label's business affairs sure would like to know)? The fact of the matter is that so many songs are now available for our dissected listening pleasure, and any student of record production should take advantage of them. Here's a great example of one of the most sophisticated hit songs ever made - Queen's Bohemian Rhapsody. This video gives you a look at all 44 tracks to provide a great idea of how the song (especially the vocals) is layered. Listen to how in-tune all the vocals are (a tribute to Freddie and the band) and how tight everything is in the days way before Beat Detective and digital editing. Sure there are a couple of things that a sharp ear will detect, but you'd probably leave those in today anyway because the feel is so good. The only thing better than listening to this video is having the tracks to play with yourself, but you'll have to find that on your own. The Value Of Fewer Tracks - The Making Of The Beatles "Come Together"
I'm pleased to say that I started my recording career in the era of limited tracks. As a young working musician, I owned one of the first 4 track Dokoder tape recorders. My first professional productions (and where I really learned the craft) came on a 16 channel MCI console and a Scully 8 track recorder. It was a big deal when I finally graduated to 24 track recording on major label projects. While having limited tracks to work with might seem primitive compared to today's unlimited digital tracks, it was really a blessing in disguise. Fewer tracks means that decisions have to be made during the recording process. If there's a sound or part that you think you like, you have to commit to it NOW, rather that leave it to be sorted out later during mixing. That sort of forced decision making leads to more efficient, quicker recording, and the ability to trust your first creative instincts (which we often overlook when we have too many choices). Again, that approach seems to be creatively limited, but some of the greatest music of our time was made that way. All of the timeless music by The Beatles and all their contemporaries were done with 8 tracks or less. Here's a great example of how "Come Together" came together, starting from a 4 track tape then finished on 8 track. Everyone says that lists are really popular on the Web and it's really true. Yesterday's post of some previous lists that we've posted over the last year was a smashing success, so here are a few more. Back to business on Monday. 5 Reasons Why Trade Shows Are Obsolete - You know they are and hate them as much as I do. But did you ever think exactly why? 20 Most Popular Facebook Artists - From earlier in the year so it's probably changed a bit, but still an interesting look. 5 Reasons To Hate The Live Nation/Ticketmaster Merger - Some of the predictions did not come to pass, but a lot has to do with the flagging economy and the general decline of the concert business in general. 10 Pieces Of Technology That I Hate - Just reread the article and still hate everything there except the last one, since I've learned how to love and respect social media. Top Ten Websites - This is from January of 09 so it'll be interesting to see how it's changed in a month or so. Happy Thanksgiving to those readers who celebrate it. I thought it would be a good time to review some of the past posts that feature lists. Here are five of the most popular. 5 Lies Indie Musician's Tell Themselves - Who else can you believe if you can't believe yourself first? 5 Criteria For Video Stardom - It takes more than a camera, a nice smile and a Youtube account. 9 All-Time Bad Tech Predictions - Even smart people can be way off base sometimes. 5 Reasons For Bad Concert Videos - Can't watch concert videos because they make your head spin? Here's why. 5 Reasons Why Concerts Sound So Bad - Was the concert you just left a jumbled mess of incoherent audio? The reasons might surprise you. Most recording engineers (both those learning and experienced) place way too much stock in the kind of gear they're using. It seems like if the gear is not vintage, a name brand or high priced, it's automatically shunned, but the major variables that go into making a good recording always lie in other places than the gear itself. The Player and the instrument contributes about 50% to the overall sound. Sometimes a little more, sometimes a little less – but always the greatest portion. You can prove this to yourself. Get a player who’s not yet that accomplished and record him with his equipment. Chances are it will sound pretty mediocre. Then get a great player to come in and play on the same equipment. You’ll be shocked how good the gear suddenly sounds. It’s not as dramatic going the other way around sometimes, but you can definitely hear the difference when a mediocre player goes from mediocre equipment to finely tuned studio gear. When I was the musical director for former Rolling Stone's guitar player Mick Taylor for a tour (here's a nice picture of us on the left), Mick didn’t travel with any gear, preferring to use whatever his fans could provide him at each town. 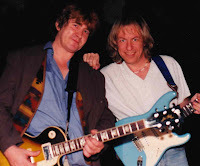 He frequently played with some really big stinking heaps of crap gear, but every night he still sounded just like “Mick Taylor.” The gear never mattered. The Room contributes about 20% to the overall sound. Even on close-miked instruments, the room is far more responsible for the final sound than many engineers realize. The Mic Position contributes about 20% to the overall sound. Placement is really your acoustic EQ and is responsible for the instrument’s blend in the track. The Mic Choice contributes about 10% to the overall sound. This is the last little bit that takes a good sound and makes it great. As we were finishing guitar overdubs on the latest Snew album last night, we were talking about musicianship and I was reminded of another Frank Zappa story. Frank was a historic stickler for great musicianship, but if you didn't play with heart and have a great natural feel, that didn't work for him either. But more than anything else, Frank hated anyone with an attitude. Frank was looking for a piano player, but he needed someone who was a particularly great reader. Steve DeFuria (his then Synclavier programmer and now VP of Corporate Strategy at Line6, and one of my oldest friends) and I knew a piano player from our Berklee days who just moved out to Los Angeles, and we gave Mr. Piano a hearty recommendation. Frank once again cautioned us that he "had to be a great reader" and we told him that Mr. Piano was a former Berklee teacher and could read a fly running across a page. Trouble was that Mr. Piano had a bit of a superiority attitude, which we assumed he would tone down in the presence of someone so esteemed as Frank Zappa. When the audition started Mr. Piano gave Frank a little of his natural superiority attitude - fatal mistake #2! Frank's acerbic side reared up and about 4 bars into The Black Page he stopped Mr. Piano as said, "Can you play the song backwards?" Mr. Piano now starts to sweat a little bit as he realizes that he's in for more than he expected. After about another 4 bars of playing Frank stops him again and says, "Can you switch hands so that the right hand is playing the bass clef and the left hand is playing the treble?" Mr. Piano is now really obviously nervous since he's way deep in unfamiliar waters (Frank Zappa's natural environment), his playing is completely inverted, plus he's still attempting to play the song backwards (from end to finish). As a result, his attitude comes back to earth in a sudden crash, just where Frank wants it. After another rather limp 4 bars Frank comes in for the death blow. "Can you play the song without using your thumbs?" Now Mr. Piano is a quivering mass of jelly and can't even get a bar through when he stops and says to Frank, "That's impossible. No one can play it this way!" To which Frank replies, "You're a pretty good player, but you're not that good. I know 3 drummers who can play this with no problem." And with that, Mr. Piano player was on his way, his ego definitely in a different place than when the day started. But to show the other side of Zappa's love for musicians, Frank was playing a gig at the Cobo Arena in Detroit when one of the janitors came into the green room with a guitar before the gig. "I just have to do this," the janitor said with an "Ah, Shucks" kind of attitude. Frank gave him the go sign and Mr. Janitor did a couple of songs. Frank thanked him and asked for his card. The band chuckled, thinking that would be the last time it would touch Franks's eyes, but six months later Mr. Janitor Ike Willis was on an airplane out to Los Angeles to sing on a record with the esteemed Mr. Zappa. And he sang on almost every record Frank made until the end. 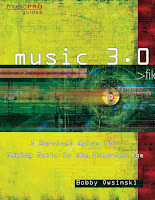 My latest book "Music 3.0 - A Survival Guide For Making Music In The Internet Age" has just been released and is currently available in book and music stores and online. Although we've touched on some of the issues here in recent posts (the book was actually born from a post here about Guns n' Roses almost a year ago), I've decided that the subject needs a blog of its own. Therefore I'm devoting an entire new blog to the subject called appropriately "Music 3.0", that will cover more of the business side of the music business. This blog will cover more of the production and music side of things from here on. Music 3.0 is an aggregation of concepts on the new music business that I’ve been following for some time. These concepts include Seth Godin's "Tribes", The Theory of 1000, Chris Anderson's "The Long Tail", and "The Economics of Free" among others. The book looks at how these concepts pertain to the marketing and distribution in the business right now. 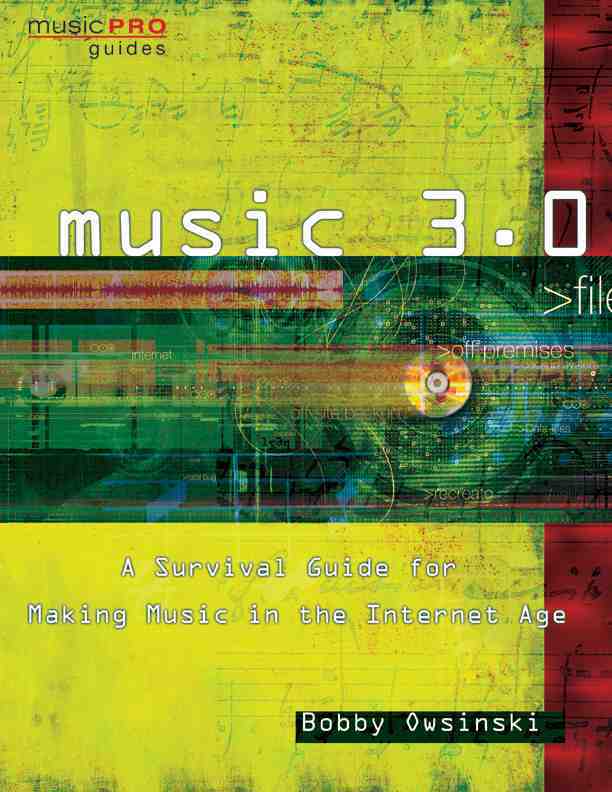 It also contains the guiding insights of some of the music industry’s brightest minds about where the industry has been, where it is now, and where it’s going (see tomorrow's post on the Music 3.0 blog for a list). With so much information currently available, I wanted to do what I do best - collect it, organize it, and present it in a way that hopefully everyone can understand. I'm really proud of this book, and I hope that its readers find it as helpful as some of my other books. Acousticians have known since even before the beginning of speaker design that horn loaded speakers are the most efficient way to amplify audio That's because, unlike most of the cone loaded speakers that we're used to, horns are very directional and don't waste energy pointing sounds in a direction other than where the audience is seated. Who cares if the spider on the ceiling is hearing a playback as well as you are? While horn-loaded speakers come in and out of style, they're always with us in some form. The latest foray into horned audio territory for the home is the La Grande Castine speakers (pictured left), designed by the French company Musique Concrete (can't find a website for them). Their large size and acoustic shape allow them to deliver sound in the 108dB range with a mere 3 watt amplifier. Now that's efficiency! They'll cost you though - about $100,000 per pair. 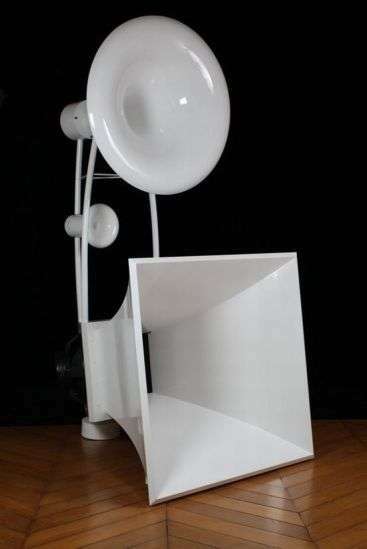 While we see speakers like the La Grande Constine occasionally used in the home (not that often because they tend to be on the large size), horn-loaded speakers are usually found in a professional setting. The reason why horn-loaded speakers have such a place in our sonic history is the fact that when film's first changed to "talkies" in the 20's, amplifiers were in their infancy and only rated around 5 watts at best (by comparison, today's theater amps are usually over 1000 for just the woofers in a large theater system). In order to cover the entire theater with sound, the speakers had to be the most efficient possible, which is why horn-loaded ones were chosen. Altec was the leader at the time (although RCA made the first ones) with their "Voice of the Theater" line (pictured left). Usually you'd find a set of three of these speakers set behind the screen. The bigger the theater, the larger the speaker. In fact, in many large theaters that project Sony's SDDS format films, you'll find an array of five sets, although they'll probably be from JBL since Altec has regrettably left this area of the business some time ago. 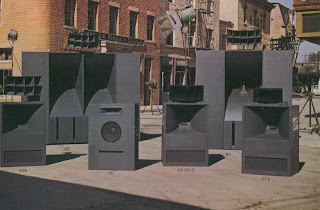 When I was a kid in a few of my first bands, we used a pair of Altec A7 speakers (pictured left) in our PA system and always got raves for how great they sounded (the speakers sounded better than the band sometimes). Altec has now reissued the venerable A7, but at a $4000 per speaker price, which is totally ridiculous. They were good, but not that good, and there are a lot better choices available today for a lot less money than an old A7. Probably the most widely revered and sought after horn-loaded speaker is the oldest - the RCA "Ubangi," which was used in the original theater sound systems until about the 60's and latter utilized as the primary piece of Allen Sides famed studio monitors of the 80's and 90's. Since almost all theaters that used these have either closed or upgraded to newer gear long ago. 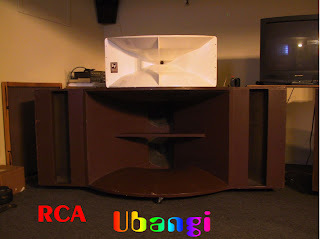 If you have any pictures of a Ubangi, please send it along. 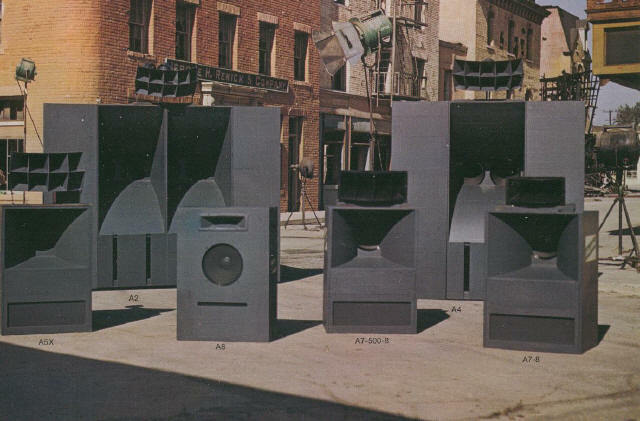 I'm not sure how this post became the brief history of horn-loaded speakers (very, very brief), but it sure was fun, and I didn't even get into some of my very favorites. We'll leave that for a future post. 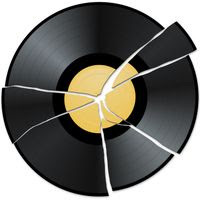 If you are a record label or publishing exec, you knew this day was coming. Still few made plans for what would happen when some of the provisions of the U.S Copyright Act of 1976 came due until now. What's the problem? Only that the act gives authors or their heirs the ability to terminate copyright grants, which means that the lucrative catalog income (the only major income stream for some record labels these days) could come to a crashing halt. 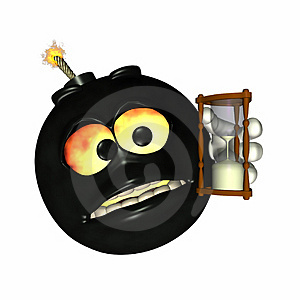 So why does a law passed way back in 1976 strike fear into the hearts of industry execs today? Under the Copyright Act, if an artist or author sold a copyright before 1978, they or their heirs can take it back 56 years later. But if the artist or author sold the copyright during or after 1978, they can terminate that grant after only 35 years. That means that record labels could lose any sound recording copyright they purchased in 1978 beginning in 2013. For music from 1953 and before, those grants can already be terminated. Many superstar acts (including the powerhouse The Eagles) are already preparing termination notices that they intend to file by the end of the year, according to Law.com (there's a five year window in which you can file notices). While superstar acts may be better off going it alone without a record label since many already have distribution infrastructure in place, many B and C level acts will probably just renegotiate for a better deal and leave their copyrights in place, which is what the labels are hoping for. Still, it's going to cut into their income stream big time, just when they can least afford it. The Copyright Act isn't just about music though, it covers any type of copyright, so every facet of the entertainment industry will be affected. But the entertainment lawyers are already smiling since their big payday is just beginning. If you ever wanted to go to law school, now is the time.